At A-1 Self Storage, we offer a FREE truck to move you in! We supply the truck, you make your move with ease. This is a free service offered for new customers who live within 10 miles of our store, and rent a 10x10 or larger storage unit. To take advantage of this convenient service, call our friendly self storage experts to rent your unit and schedule your moving truck today! Forget the hassle of renting a truck. Between the per mile charges, and the extra insurance, those hidden costs can really add up! Not to mention the headache of additional trips to pick up the truck, and then return it! 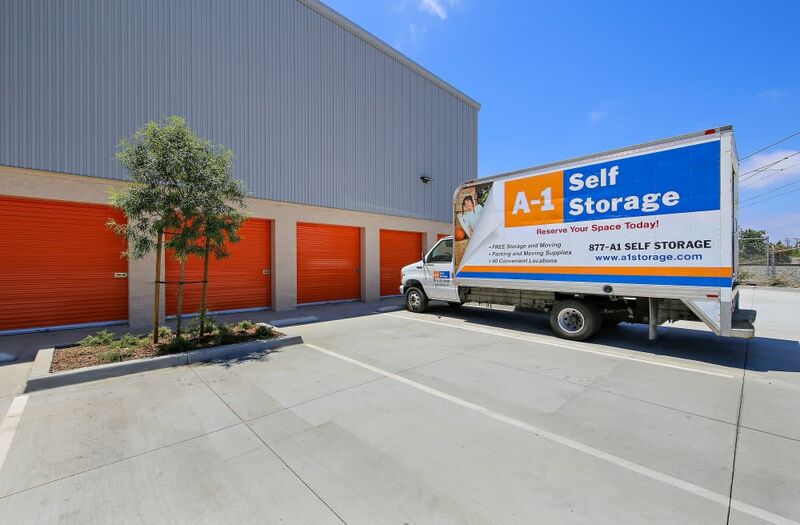 At A-1 Self Storage, you can take care of renting your storage unit & booking your moving truck all in one. Our moving truck is 15 feet long and comes with a ramp for easy loading. Automatic transmission and power steering make our truck easy to drive. We also provide a hand-truck (dolly) to assist with your move. This offer cannot be used in conjunction with any other move-in discount, and is subject to availability. Driver must be at least 21 years of age with valid driver's license and proof of insurance. Please contact us for full details.